Go shine-free without layering! Maybelline's lightweight, gel stick foundation has an exclusive anti-shine powder core that instantly dissolves excess oil. 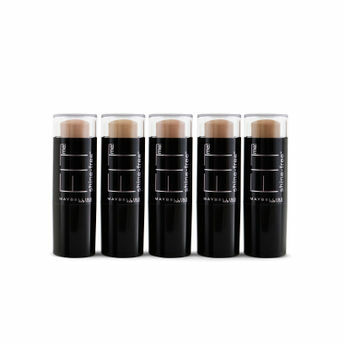 Maybelline New York Fit Me Stick is an oil-absorbing powder foundation stick that is creamy and blends into a natural matte finish for smooth and even-looking skin. Pores look minimized and skin stays shine-free for ten hours. Explore the entire range of Foundation available on Nykaa. Shop more Maybelline New York products here.You can browse through the complete world of Maybelline New York Foundation .Alternatively, you can also find many more products from the Maybelline New York Fit Me Shine Free Stick Foundation range.